If you’re looking for weekend things to do in Durham, North Carolina, keep in mind that you’ll have to come back because there’s more than enough for a couple of days. Thanks to awesome restaurants and breweries, outdoor options, history, and more, your weekend in the Bull City is going to be jam-packed with fun. So let’s see exactly how you can enjoy it. Check via Trip Advisor or Hotels.com for the best prices on places to stay in Durham! There are some really nice hotels in Durham and more keep popping up as the city grows as a travel destination. 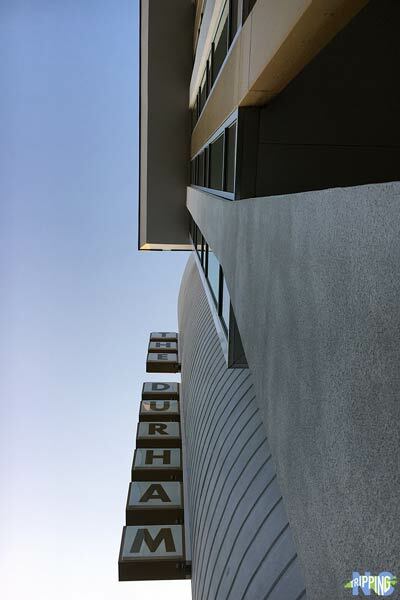 If you’re looking for a place to stay Downtown, check out The Durham Hotel. It’s an amazing representation of our city and we even featured it here after a staycation. We included the Arrowhead Bed and Breakfast in our favorite hotels in North Carolina because we loved it. Oh, and it’s where we were married! If you’re looking for somewhere specific, take a look via Trip Advisor or Hotels.com at the best places to stay in Durham. If you’re like us, you’ll fall in love with the area are start looking through all the available homes for sale in Durham. The Durham food scene is hard to encapsulate in one small section and we’ve broken it down at Travel Through Life. One great way to sample Bull City restaurants is via a Taste Carolina Gourmet Food Tour. It’s a great way to eat, learn about the city, and meet like-minded foodies! Beer: Fullsteam, Ponysaurus, or Sam’s Quick Shop. Both Fullsteam and Ponysaurus featured in our guide to North Carolina breweries. Looking for a low-key night out? Check this guide to our favorite casual restaurants in Durham. Our North Carolina food section also covers spots beyond Durham, if you’re going to be sticking around the state for a while. For a view of the city, head to the top of The Durham Hotel for a nice panorama. A big part of Durham’s revitalization happened around the American Tobacco Campus, which is a treat if you get a chance to walk around. Main Street cuts through Downtown Durham and is nice for walking around and checking out the city. We can easily think of nine reasons to catch a show at DPAC. 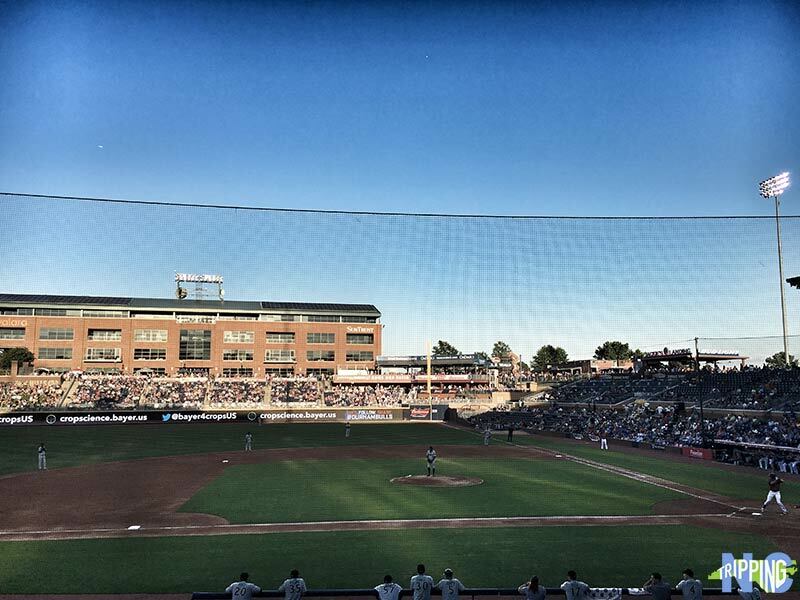 If you’re around during baseball season, please catch a game at the Durham Bulls Athletic Park. It’s a beautiful new stadium and there’s hardly a bad seat in the house. If you’re in Durham during the winter, camp out in front of Cameron Indoor Stadium and you might be able to get a ticket to see the Duke Blue Devils. Seeing them play against UNC is one of the most unique things you can do in North Carolina. There’s a bit less demand for Duke football, but Wallace Wade Stadium is a nice place to watch a game. 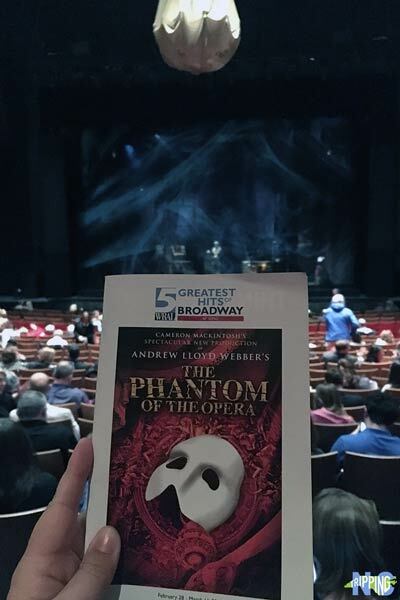 If the weather is not cooperating or you’re in the mood for something indoors, the Carolina Theater, DPAC, and multiple other venues have shows playing throughout the year. We included a few of these things in our guide Winter Things to Do in North Carolina! There’s also Duke University, Duke Chapel, and Sarah P. Duke Gardens that everyone talks about. Both are an awesome sight if you’re fortunate enough to walk on campus Duke is not the only school in town, as North Carolina Central University is also here. Known as the nation’s first public Liberal Arts institution for African-Americans, NCCU is known as a campus that gives back, as all students are required to perform community service before graduating. Check their campus calendar for more info if you’re interested in stopping by or doing a tour. Bonus Fun Fact: Don’t assume everyone is a Duke basketball fan because you’re in Durham. You’re still in the state of North Carolina, where most people root for the Tar Heels and even Wolfpack over Blue Devils. 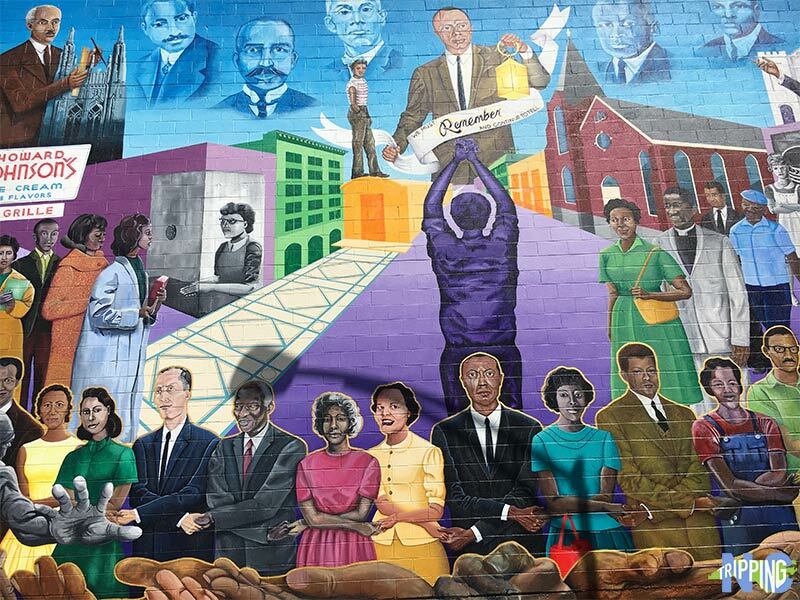 Downtown Durham even has some cool street art, centering on the civil rights era like the one pictured above, which you’ll find at 120 Morris Street. There are also some cool murals dedicated to civil rights leader Pauli Murray throughout the city. Stop by the NC Mutual Life building and take yourself back to times when Durham’s “Black Wall Street” rose during the early 20th century. The Museum of Durham History can also give you insight into the city’s origins through modern times. There are also quite a few family-friendly places to explore, like the Lemur Center and Museum of Life and Science, where you and the kids can explore for hours. There’s much more but that one stands out above the rest. We included MLS and some other Durham favorites among the best of North Carolina’s awesome museums. We can name off quite a few Outdoor things to do in Durham. Our personal favorites include Eno River State Park and Duke Forest. Of course, there’s Sarah P. Duke Gardens that I already mentioned. That beautiful collection of trees and flowers hosts quite a few events and weddings throughout the year. 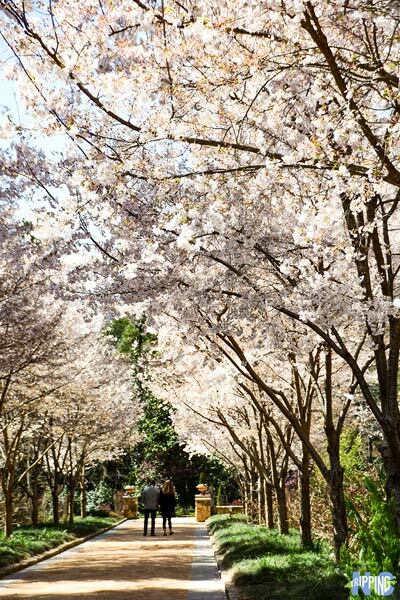 The Duke Wall is a nice long path as well, though I recommend visiting during spring when the massive magnolias start to blossom. There are many more city parks in Durham and we suggest you explore them when coming here. Duke Gardens was a big part of our Spring Things to Do in North Carolina and Eno River State Park featured among our favorite places to find fall hiking trails in North Carolina! 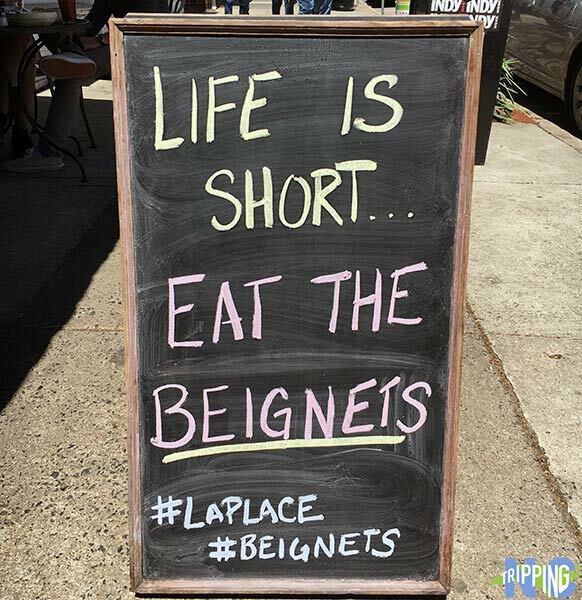 Definitely, eat at Laplace in Hillsborough. If you have time to get away from Durham for an afternoon, there are some pretty awesome small towns nearby. Some of our favorites include the small town of Hillsborough, which is fun for all travelers. Stay in the Bull City and you’re within a short drive from Durham to Raleigh, Chapel Hill, and the nearby Triad area that includes more North Carolina cities like Greensboro, Winston-Salem, and High Point. Another great thing about Durham is its proximity to the mountains and the coast, both within a few hours drive. So, do you see that a weekend in Durham is not enough? Regardless, please come and check out this wonderful city. 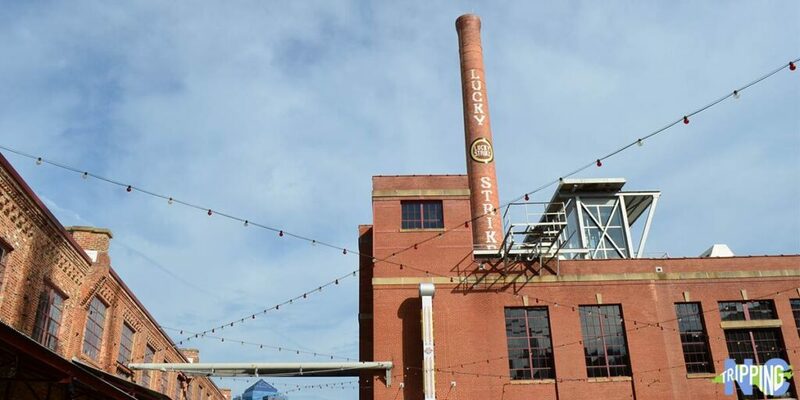 There’s so much to see, do, and especially eat in the Bull City, so what would you do first? Ever been to Durham? We’d love to know what you think in the comments section below. This entry was posted in Travel and tagged Durham, Durham County, Research Triangle, The Piedmont. Durham is a sweet slice of North Carolina. Enjoyed exploring a bit with you and the girls. Thanks for stopping by, Charles. Hope you can come back to Durham again soon for more exploring of it, during nicer weather!